"Elon Musk delivered a serious warning to the United Nations that essentially goes like this BEWARE THE KILLER ROBOTS!!! The genius behind Tesla, SpaceX and don't forget PayPal signed an open letter to the U.N. Convention on Certain Conventional Weapons ... the body is taking up autonomous weapons, including drones, tanks and machine guns. 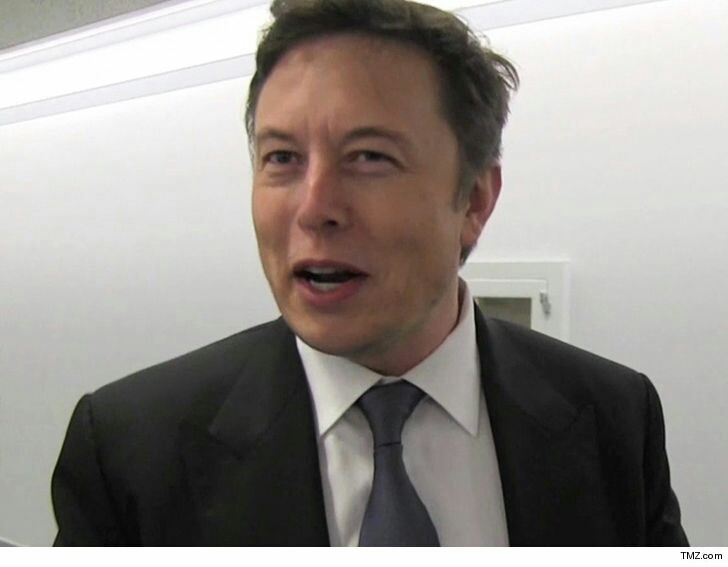 Musk, who has warned about the dangers of A.I. before, said, "Lethal autonomous weapons threaten to become the third revolution in warfare. Once developed, they will permit armed conflict to be fought at a scale greater than ever, and at timescales faster than humans can comprehend." Sounds like Musk doesn't want a SkyNet-style situation -- where the artificial intelligence programs become self-aware and angry ... and then humanity has to wage war with T-1000s, HK-Aeriels, etc. "These can be weapons of terror, weapons that despots and terrorists use against innocent populations, and weapons hacked to behave in undesirable ways," Musk says. He calls the autonomous arms race a Pandora's Box which, once opened, will be tough to close. Musk was not alone in his concern ... 89 leaders around the world signed the open letter. 0 Comment to "Elon Musk warns 'terminator 2' ( robot machine war)"